FiveC - Carry in IL? about IA & WI residents carrying in ILLINOIS? Many people with legal IA or WI weapon permits avoid carrying in ILLINOIS because they are unsure what the IL reciprocity laws are. 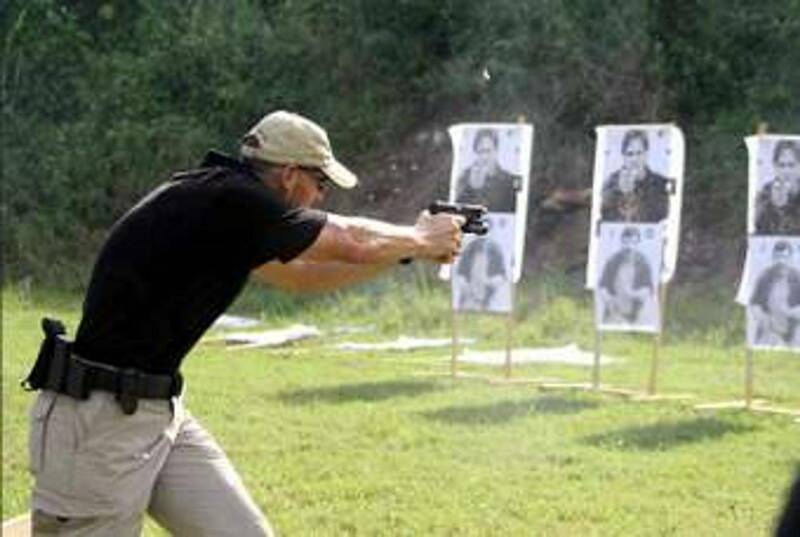 We also have a lot of IA & WI residents inquire about our IL Carry Courses, which we only offer to IL residents. 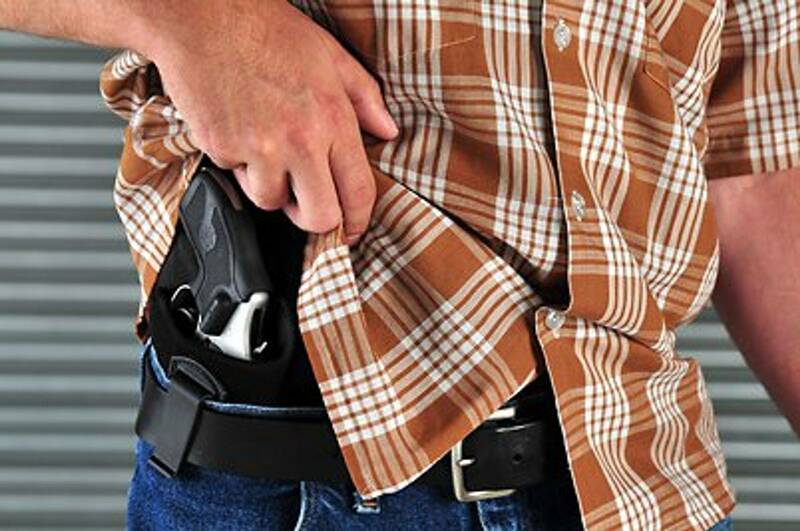 Can out-of-state residents obtain an Illinois Concealed Carry License? Yes. However, only residents of states or territories of the United States that have laws related to firearm ownership, possession, and carrying, that are substantially similar to the requirements to obtain a license under the Firearm Concealed Carry Act are eligible. What does "substantially similar" mean? "Substantially Similar" means the comparable state regulates who may carry firearms, concealed or otherwise, in public; prohibits all who have involuntary mental health admissions, and those with voluntary admissions within the past 5 years, from carrying firearms, concealed or otherwise, in public; reports denied persons to NICS; and participates in reporting persons authorized to carry firearms, concealed or otherwise, in public through Nlets. How can I find out if my state's laws are considered "substantially similar?" The Illinois State Police sent a survey to each state to determine which of them has laws that are substantially similar. Click here to find out how your state responded and if your state's laws have been determined to be substantially similar. Currently, the only states considered to be substantially similar are Hawaii, New Mexico, South Carolina and Virginia. Note: Not all states have responded to the survey. 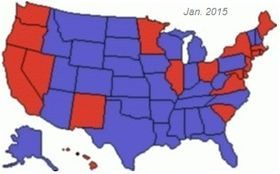 31 blue states above ARE reciprocal with IOWA! Can I carry in ILLINOIS? SORRY, lots of legalese here, we'll summarize it in the right-hand column, but it is YOUR responsibility to check the reliability of any opinion. Please contact us if you find a differing opinions so that we can update if necessary. Need your IA or WI permit? Visit our calendar to see currently scheduled events, or contact us to schedule a course for yourself or a group, for 1 student or a dozen! Have a small group of friends, family members, or employees who are seeking their Iowa, or Wisconsin Permit to Carry Weapons? We host our classes around your schedule, for ONE student or for DOZENS, no class is too small. 2 hour evening classes are $50.00 per student. Can an IA or WI resident get an IL Carry Permit? At first glance, when reading the FAQ from IL State Police (in the left column) you might read "YES" to mean YES, but we need to read on and see that certain qualifying conditions are added which more or less say NO. They use the phrase "substantially similar" in such a way that they eliminate all but FOUR states... keep reading. Special reporting to various agencies regarding information which citizens of most other states prefer to keep private. In the chart below you can see that IA does NOT require it's citizens to surrender their privacy to Nlets by reporting their legal permits. Further, both IA & WI do NOT prohibit those with voluntary mental health admissions from carrying guns. (good move IA & WI, some folks who need help might avoid it if they knew they'd lose their permit). HOW can IA & WI residents carry in IL? Provisions are made (at the demand of US Supreme Court) to allow some degree of reciprocity for those who can carry legally in other states. 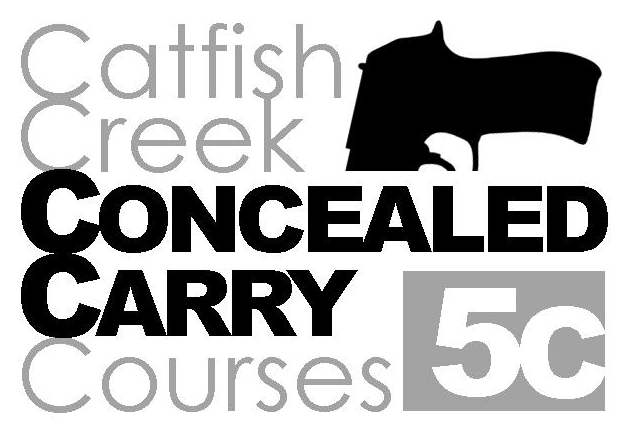 The key info is in Section 40 of the Act, where it says, "Nothing in this Act shall prohibit a non-resident from transporting a concealed firearm within his or her vehicle in Illinois". You are NOT eligible to carry concealed outside your own vehicle. What if I stop for the night? Can I keep a firearm in my hotel room when I travel? Yes, assuming no local ordinance applies. The critical question is how the firearm was carried into the room and transported in a vehicle. Those actions must be done lawfully. Your hotel room is considered your "domicile" while you are legally inhabiting it. You must unload and secure your firearm in a closed container to transfer it to your trunk or to enter your motel room etc. Note: If you are traveling and don’t interrupt your trip for sightseeing or to get a room for the night but only stop for food and fuel you can transport an unloaded stored firearm under federal law 18-926A. As long as you are traveling you fall under federal law. If you stop you then fall under state law. 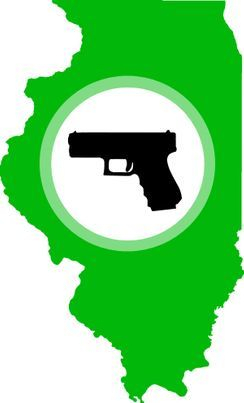 Each state has gun laws that are unique to themselves (especially Illinois) so ALWAYS be sure to become familiar with the laws of states you intend to visit if you plan to pack a gun. What we have provided here is just a summary of the IL gun laws, and our own understanding of how they apply (yes, this is a disclaimer), you should ALWAYS investigate for yourself! For example, IL views signage prohibiting firearms as legally binding, even a permit holder may not enter such a premises with a firearm. It's always important to know HOW the law-makers define various terms in their legislation, see below for a few of those details in the Act. Note: 20 IL Administrative Rules Section 1231.10 Definitions "Within a Vehicle" means within the passenger compartment of a passenger or recreational vehicle or within a lockable container secured to a motorcycle.